Join the New York Nineteenth Century Society Parlorcraft Circle as we explore the art and craft of paper flowers. The history of artificial flowers dates back many thousands of years; they are mentioned in the Old Testament. Among the poor of the 19th century, constructing paper flowers was a common means of earning money. Entire families would make paper flowers to sell on the street. 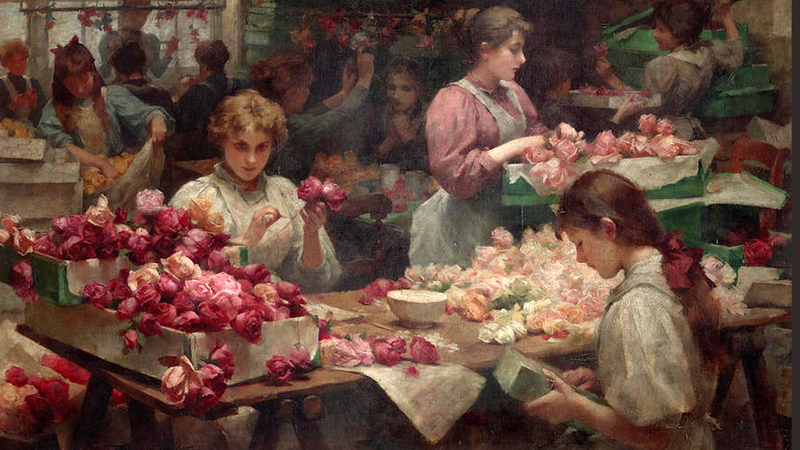 The 1891 census reported 4,011 flower-makers in London. 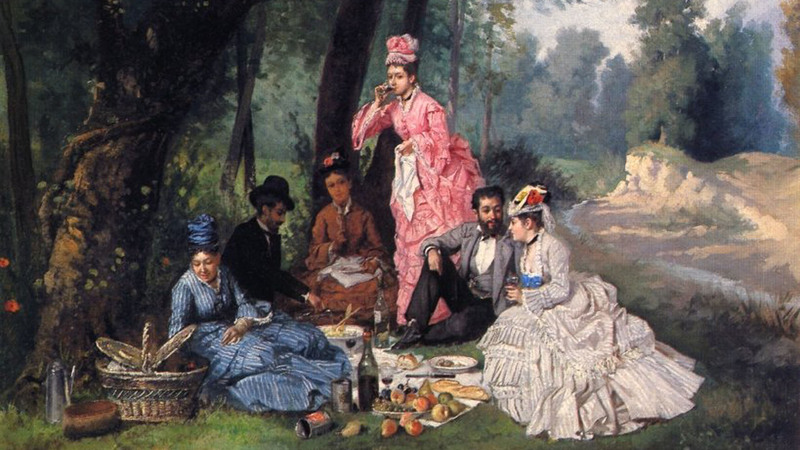 It was also a genteel activity for more affluent ladies. Many period magazines and journals include instruction and templates for flower-making. Artificial flowers were used to trim ladies’ hats, gowns, corsages, and accessories, and paper flowers were used for festive decorations and commemorations such as Remembrance Day. We’ll provide materials and instruction to make seasonal paper poinsettias, holly, Christmas roses, and other blooms. If time permits, we’ll even show you how to assemble them into garlands and wreaths. In addition to our amazing paper flower tutorials, it’s also time for our annual NYNCS Cookie Swap and Yuletide Social! Non-crafters are welcome to attend this event. Please bring one dozen homemade cookies if you would like to participate in the swap. No cookies, no problem! We always have extra. Stop by to say hello and enjoy seasonal treats, hot chocolate, spiced cider, and/or other surprise comestibles! No need to RSVP; just bring yourselves and if you wish, one dozen cookies to swap! All who bring cookies will go home with an assortment of leftovers.